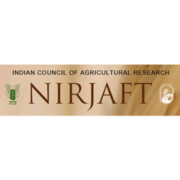 NIRJAFT Recruitment 2019 - Walk in for YP II Post in NIRJAFT, Kolkata, West Bengal. Candidates are invited by NIRJAFT - National Institute of Research on Jute & Allied Fibre Technology to attend walk-in-interview to be held on 23 Feb 2019 11:30 AM for 1 vacancy. ICAR-National Institute of Natural Fibre Engineering and Technology, 12, Regent Park, Kolkata-700040. Master's Degree in Computer Application or M.Tech. in Information Technology with at east 2 years working experience in ERP System. Eligible candidates may appear for interview along with duly filled application form in prescribed format and self-attested copies and original documents for verification. Venue Meeting Room,1 51 Floor, CT Building, ICAR-National Institute of Natural Fibre Engineering and Technology, 12, Regent Park, Kolkata-700040.